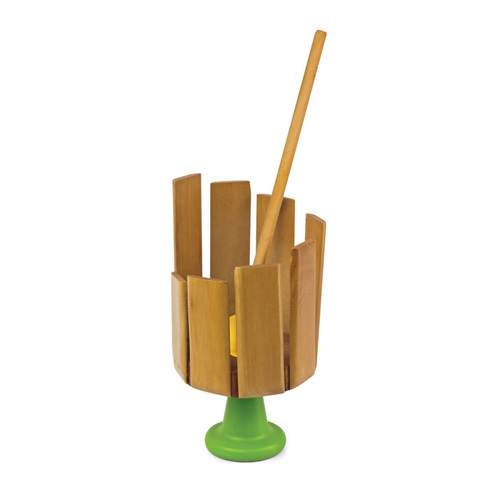 Green Tones Wooden Stirring Xylophone for children 3 years + with mallet. Develop stirring skills by playing lovely wooden tones with this hand held child's instrument, made of chemical free Rubberwood with non-toxic glue and water based VOC Free paint. Green Tones (Good for your child and good for our planet) is owned by Hohner, Inc. producers of quality musical instruments for over 50 years.